The Government has announced measures to curb train operators’ ability to increase ticket prices. As part of its Fares and Ticketing review, from January 2014, some long distance commuters will save more than £200 as fares are capped at 6.1%. Previously, the maximum increase allowed was 9.1%. As well as curbing the rise in fares, a code of conduct will be introduced to give passengers the confidence that they are getting the best deal for their journey and, according to Transport Secretary Patrick McLoughlin, “help hardworking people and reduce the cost of living”. The average price rise will also be capped at 4.1% (inflation plus 1%) meaning that any prices rises above this amount will have to be offset by price falls. Book early. However you are choosing to travel, the best time to look for deals is in advance. If planning to travel by train check 12 weeks ahead, because, contractually, Network Rail is required to have its timetable set 12 weeks in advance. This means that many (but not all) train operators release their cheap tickets at around this time. Singles or returns? When comparing prices it’s worth checking whether it could be cheaper to buy two singles rather than a return – this is because lots of the best deals are only available on singles. In some cases, travelling first class may also be cheaper as there are set allocations for discounted tickets which might not have sold out. Check for discounts. If you are a regular traveller, then it may be cheaper to buy a season ticket, on a monthly or annual basis. You should also consider savings offered by railcards, most of which cost under £30 a year and can reduce typically off-peak prices by a third. There are different railcards depending on your circumstances including: ‘Senior Railcard’ for the over 60s, ‘16-25 Railcard’ for those under 26 or full-time students of any age, ‘Disabled Persons Railcards’ and ‘Family & Friends Railcard’ if you are travelling with children. Be sure to check that your railcard is valid for the journey you are making. Check multiple operators. Some operators travel along the same lines and to the same destination, but charge different fares. Tickets aren’t usually transferrable between operators so be careful which train you book and board. MegaTrain, like MegaBus, offers fares on selected networks for as little as £1 plus a 50p booking fee. Look into alternatives. If you are flexible in your plans and time is not of the essence, travelling by bus or coach can be significantly cheaper. If there is a group travelling, hiring a car can also be more cost effective and offer greater flexibility. Claim refunds. Most of the train operators offer at least a partial refund in cash or rail vouchers if your train runs late, is delayed or cancelled. The refunds normally start after a delay of an hour or more but the emphasis is always on the commuter to remember the scheduled arrival time and the actual arrival time so that they can fill in the claim forms. If travelling on the London Underground, you may claim a full refund for your journey if you’re delayed by 15 minutes or more. You should always check with the operator and ask for a claim form or details of the refunds policy. 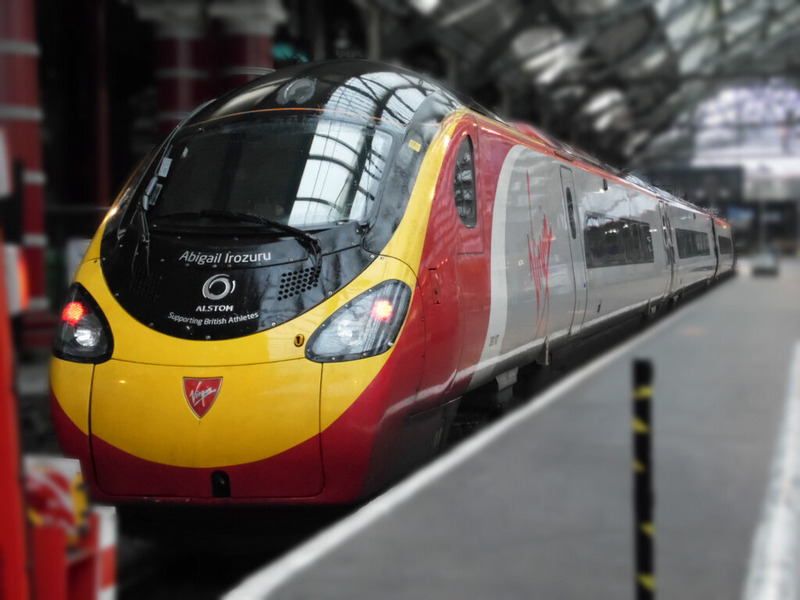 If you do find yourself travelling by train, beware of the reported ‘Pendolino Pong’. Virgin Trains’ fleet of tilting trains has proven to be a little smelly at times. However, in a bid to purge the trains of their toilet pong, reports have suggested that the rail operator is set to spend millions of pounds on a project to refresh the interiors of its entire fleet of locomotives. Now, that is a relief!